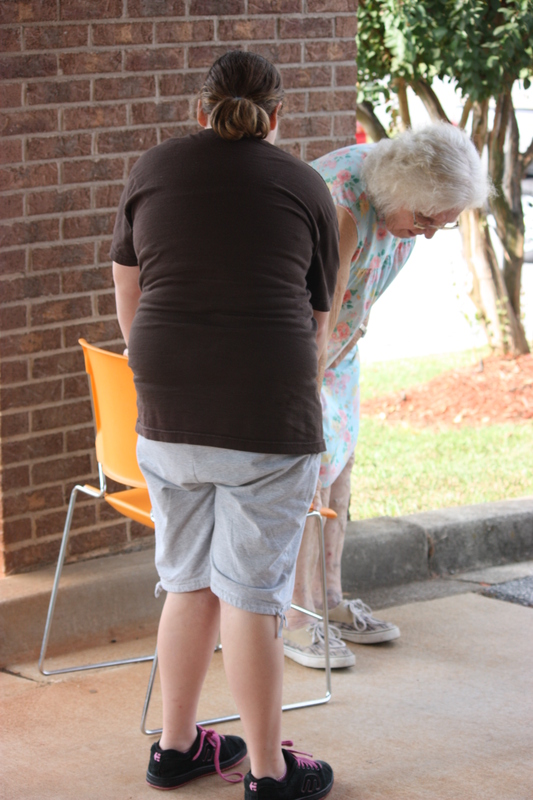 Lots of folks with the express intent of helping others were spotted out and about on a recent Saturday in Anderson. 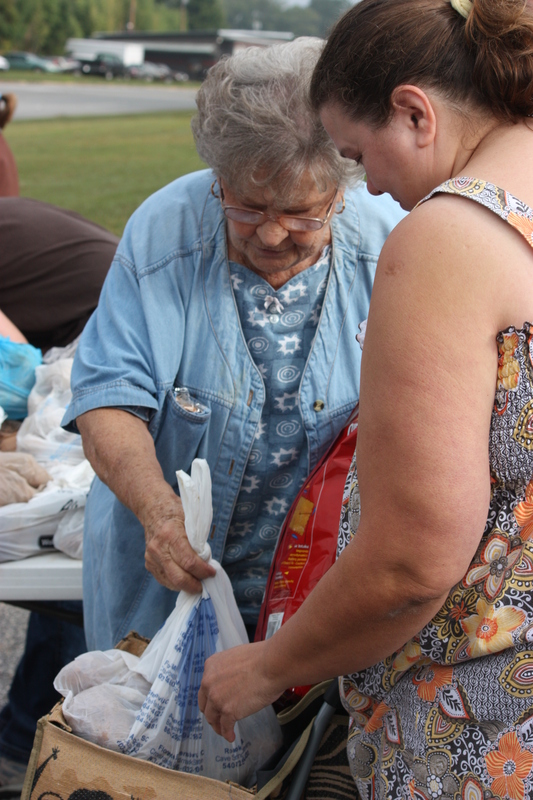 Some folks passed out food packages at a Manna Food Distribution event. More than 50 volunteers representing the sponsor, Andersonville Baptist church, as well as volunteers from the Girl Scouts and Americorp, came out to package and distribute food itms like potatoes, juice, lettuce, pickles, snack items, and more to families experiencing food insecurity. 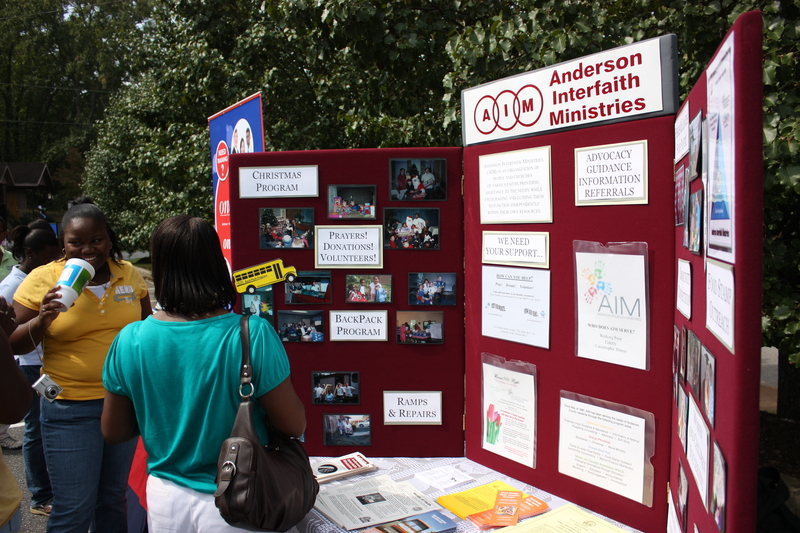 Anderson Interfaith Ministries (AIM) facilitates a distribution each month on the second Saturday through local church sponsorships. 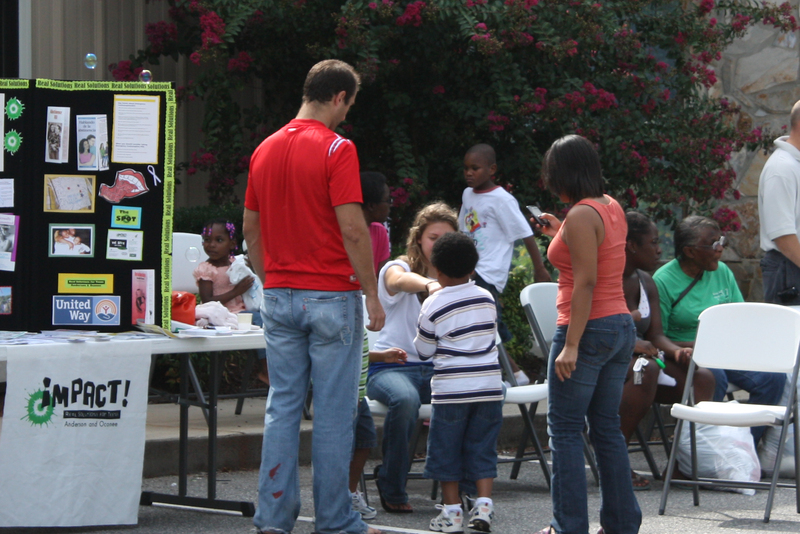 On the same Saturday, New Beginnings Ministries held a Community Day. 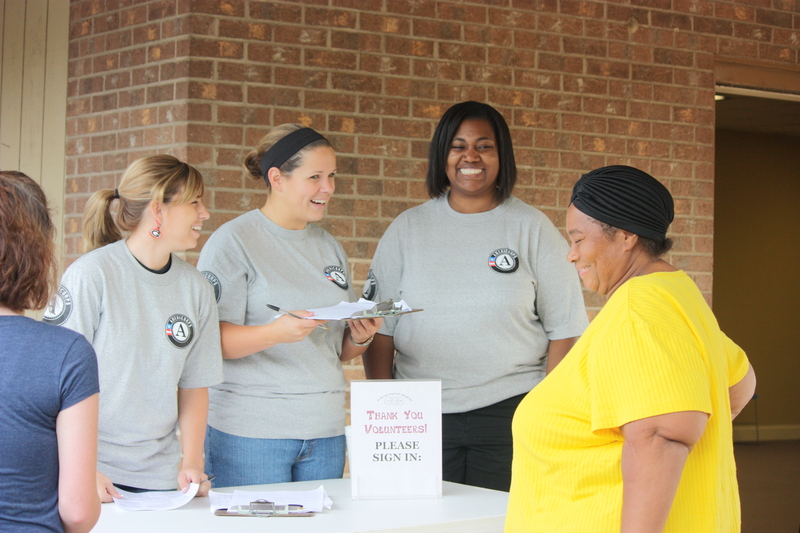 They invited local service agencies like AIM, the Anderson Free Clinic, Impact and others to set up informational tables for the benefit of the participants. 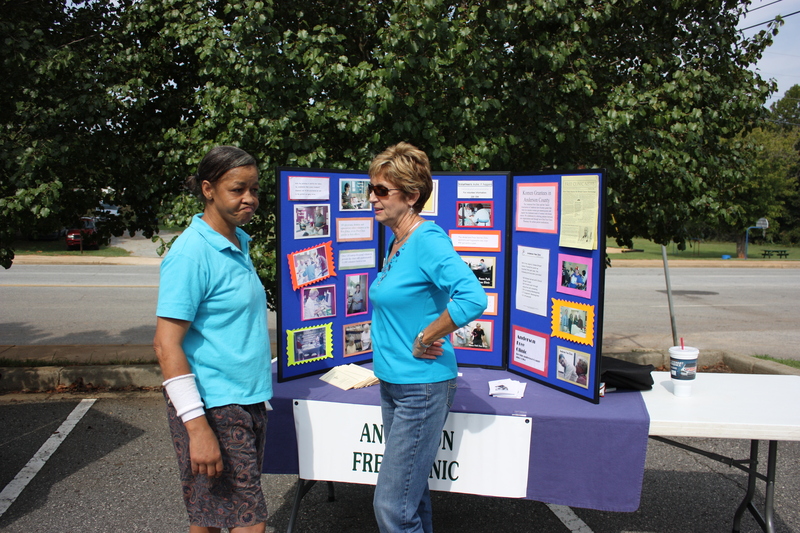 We all had an opportunity to meet people and to tell them about our agencies and programs. The organizers made the day a fun experience for all. 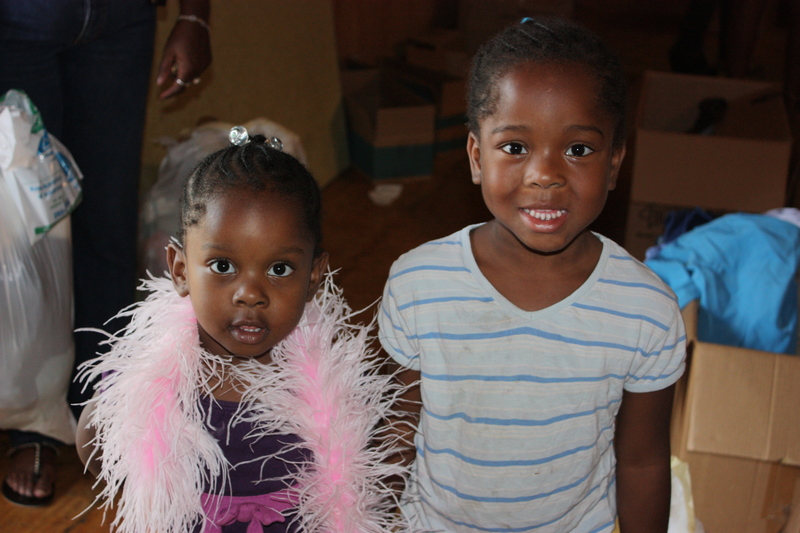 They had music, fun games for the kids, free clothing and they even prepared lunch for everyone. It was a great time for all and a wonderful way of serving the community. 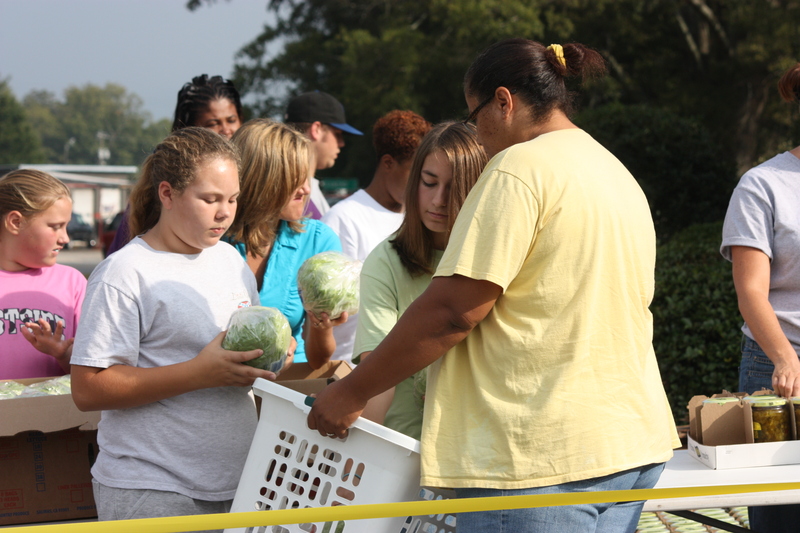 New Beginnings Ministries is scheduled to host a Manna food Distribution through AIM in November. I’m looking forward to it. Great pics, Angie — esp. love the last one of the girls!